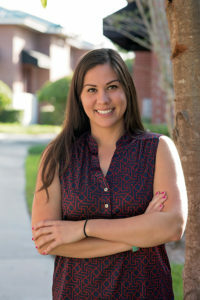 Meghan Chamberlain earned her Bachelor of Science degree in Exercise Sport Science from the University of North Carolina at Greensboro in 2008. She earned her Doctorate degree in Physical Therapy from Florida Gulf Coast University in 2013. She completed several clinical rotations throughout her doctorate program which focused on outpatient orthopedics. She is an active member of the American Physical Therapy Association, including the sports medicine and orthopedic sections. Meghan is a former Division 1 collegiate basketball player and also loves swimming, traveling, and being involved with the local YMCA. 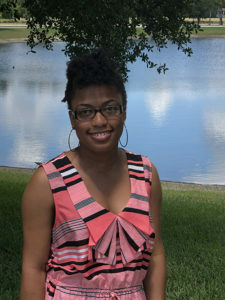 Heather Kennedy received her Bachelor’s in Health sciences and a minor in fitness training from The University of Central Florida. She then earned her Doctorate degree in Physical Therapy from Long Island University and has found a home in outpatient physical therapy. She has a multitude of experience with very acute post-op patients and with sports specific training. 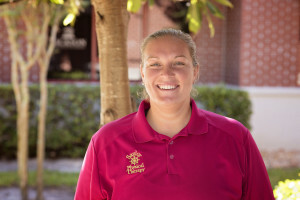 Heather is trained as a swim instructor and has coached both youth league basketball and volleyball. 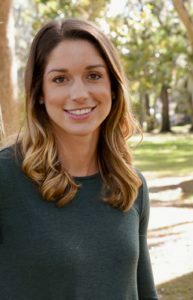 She has been a medical volunteer for two years with the New York City Marathon and has submitted research to the Combined Sections Meeting of the American Physical Therapy Association. Heather also enjoys fitness and health, surfing, and family time. 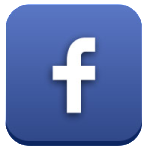 Heidi Goff I look forward to helping you achieve your fitness and mobility goals. I love working here and you will love coming here too! We have private treatment rooms and the gym area where we can work to get you moving better. I am a University of Central Florida graduate. Go Knights!!! I have had the opportunity to serve patients of all types of physical challenges. If you are the avid exercise enthusiast and accidentally over did your exercise, or if you just had surgery, I am able to make sure you recover in the least amount of discomfort as possible while keeping our goals paramount. I have worked in school settings, nursing homes, home health, pediatrics, women’s health and of course my FAVORITE: Outpatient Sports Medicine! Don’t delay – the sooner the better your outcomes will satisfy you! 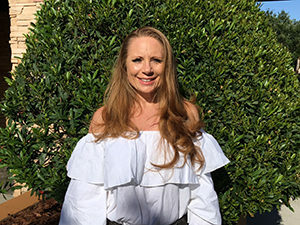 Kimberly Morales earned her Bachelor’s Degree in Exercise Science in 1998 and then her Doctorate of Physical Therapy in 2001 from Northern Arizona University in Flagstaff, AZ. Kim’s first 12 years of practicing as a physical therapist were spent in Las Vegas, NV, working in many facets of the physical therapy profession including outpatient orthopedics as well as workers’ compensation, pulmonary rehabilitation in a CORF setting, skilled nursing facility at Boulder City Veterans Home, home health geriatrics, and also pediatric/neurological patient populations. Kim then returned to Yuma, AZ in 2013 to work at her family owned business of Yuma Physical Therapy where she provided rehab services to a variety of orthopedic populations consisting of status post surgeries, chronic pain management, and MVA/sports injuries. Kim also has experienced great success with the evaluation and treatment of sacroiliac dysfunction in patients of all ages over the last several years. 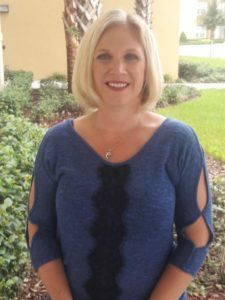 Kim has relocated to the central Florida area with her husband and 2 daughters, joining the Saylor PT team in the Lake Mary area. Kim brings a variety of knowledge and extensive experience to our practice. Kim enjoys exercising, outdoor hiking, snowboarding, and spending time with her family. Sheree’ Scott is a native to Florida. 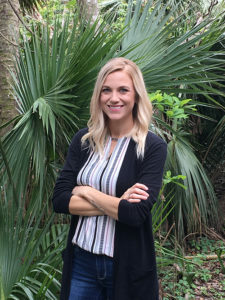 She earned her Bachelor of Science in Exercise Science (with an emphasis in Sports Medicine -Athletic Training) from Florida State University in 2002. 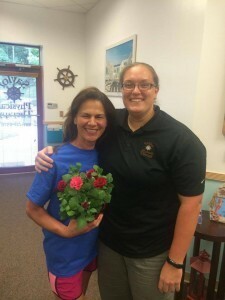 She is also a licensed Massage therapist since 2003. She was a sprinter in track and field for 10 years and ranked in the state of Florida in the 100m, 200m and long jump. She also played flag football competitively for 3 years. In her free time, she likes to run, go bowling, reading, playing with her 2 dogs, watching track and field and football. She also volunteers as a medical professional for her nephew’s previous football, track and field and Lacrosse team. 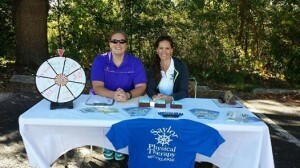 I love working in the physical therapy field because I love helping people. Anytime I can make someone more independent, restore quality of life and less pain is a blessing to me and an achievement of my life’s purpose. Christina Duffy earned her bachelor degree in Nutrition, Exercise, Health Science from the University of Nebraska in 2010. She then went on to earn her Doctorate of Physical Therapy from Midwestern University in 2014. She enjoys working in the outpatient setting and has experience working with Parkinsons patients through LSVT BIG. Christina is a former division I swimmer and enjoys triathlons, CrossFit, yoga, and outdoor adventures with her husband, family, and dog. We are thrilled to have her on our team. Manoli Mantouvalos is a Physical Therapist assistant and a Licensed Massage Therapist with experience working with patients ranging from 19 – 100 years of age in hospitals, assisted living facilities, and outpatient settings. Bolstered by more than a decade of experience in the health and wellness industry, his individualized approach to treatment helps patients reduce pain, improve mobility, and live better quality lives. He has degrees in both Marketing and Broadcast Journalism from UCF, but his voyage into the health and wellness space began after his interest in fitness, prompted him to get certified as a personal trainer. 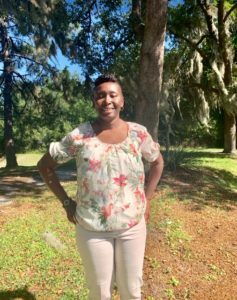 After working one on one with clients on their fitness goals and spurred by the desire to learn and do more, he earned his massage therapy license from Florida Career School of Massage and Bodywork. 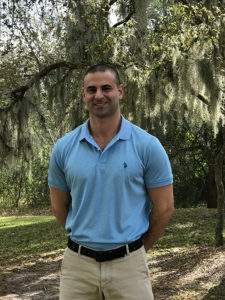 He worked at 5 of the Walt Disney World Resorts as an LMT as well as ran an independent practice for nearly a decade before the desire to level up his skillset led him to attend a Physical Therapist Assistant Degree from Seminole State College. As a first generation Greek-American, he is fluent in Greek. He enjoys spending time with his cats, watching scary movies, and working out. Crystal Cassell. I was born and raised in small-town North Platte, Nebraska where I had been a resident for the past 30 years. I attended McCook Community College in 2005 where I studied Criminal Justice and was part of the NJCAA volleyball team for two years. After graduating college, I moved back to North Platte and started my journey as an Office Manager with Mid-Nebraska Physical Therapy. I was part of their staff for the past 7 years until we decided to make the big move to beautiful Florida. We are still getting adjusted to the faster pace of living here but definitely have no complaints about the great weather. In my spare time, I enjoy hanging out with family and friends, riding horses, going to the beach, photography and playing volleyball.